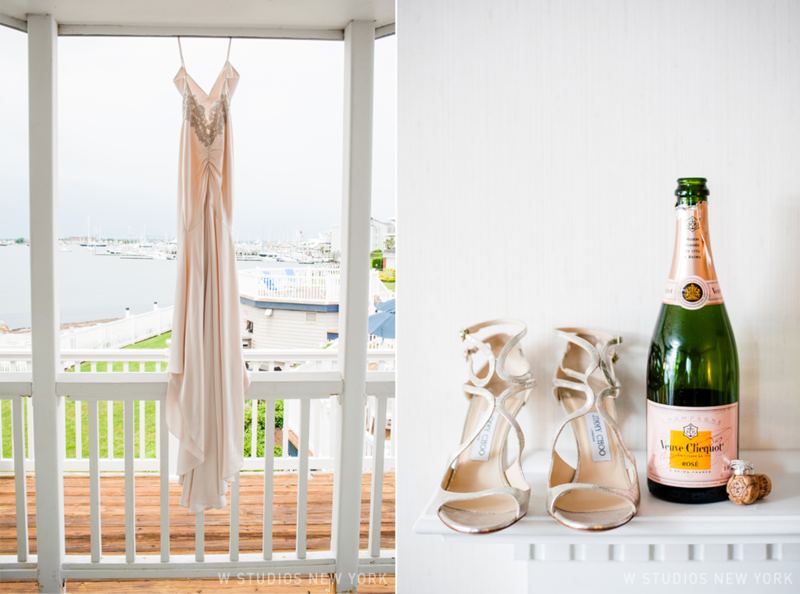 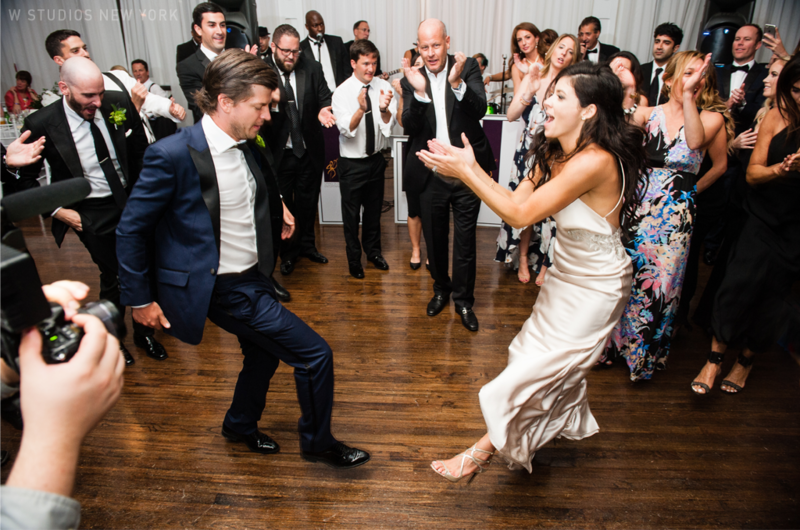 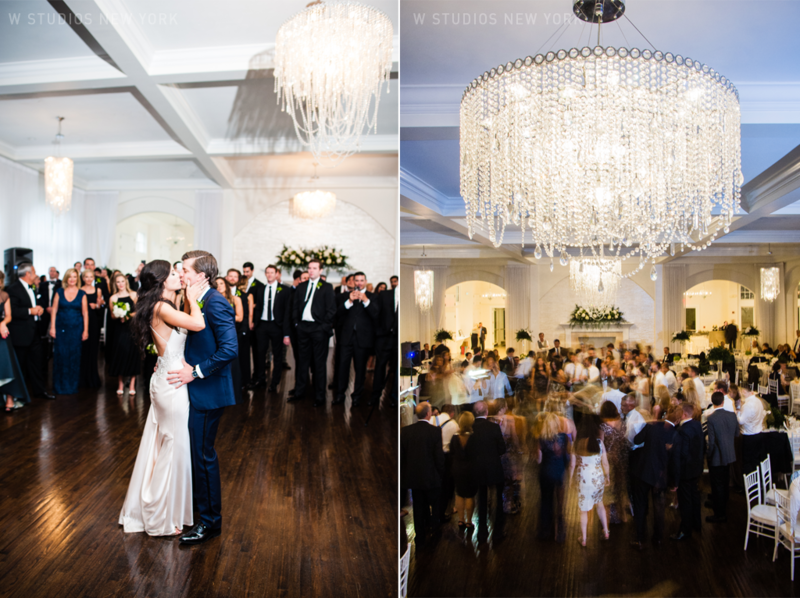 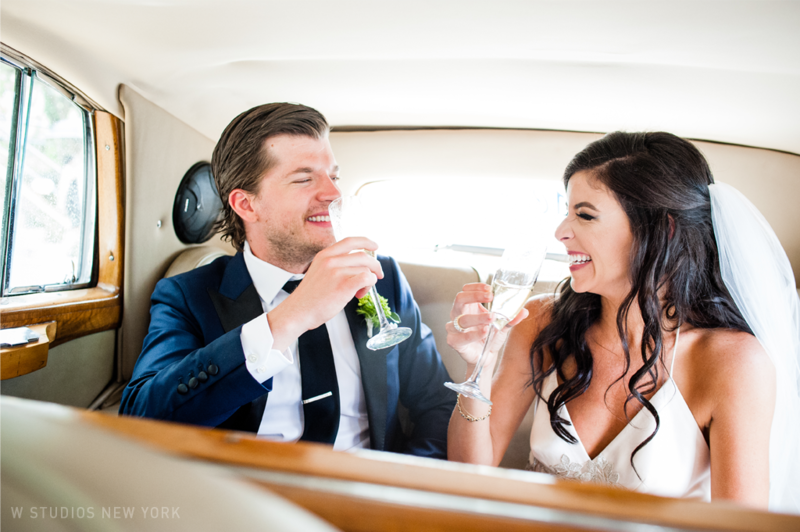 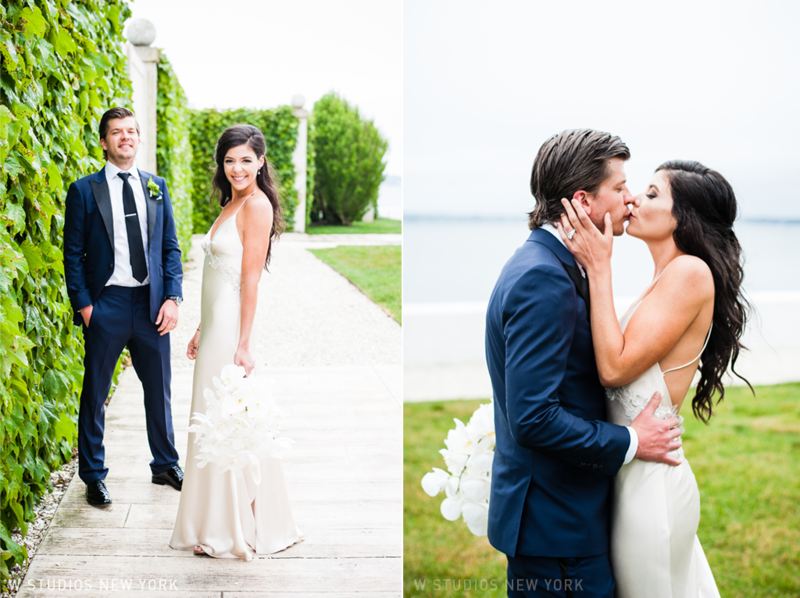 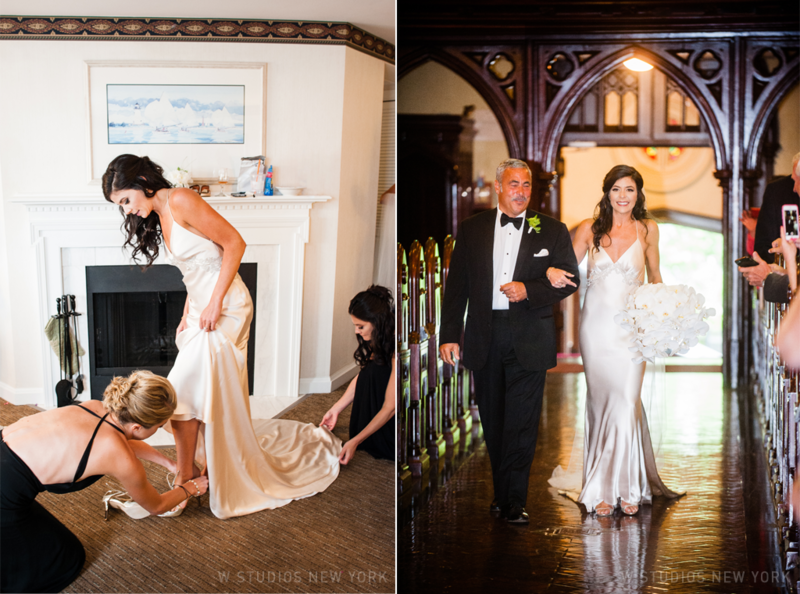 Jackie & Brad's Newport wedding was filled with surprises, excitement and most of all fantastic energy. 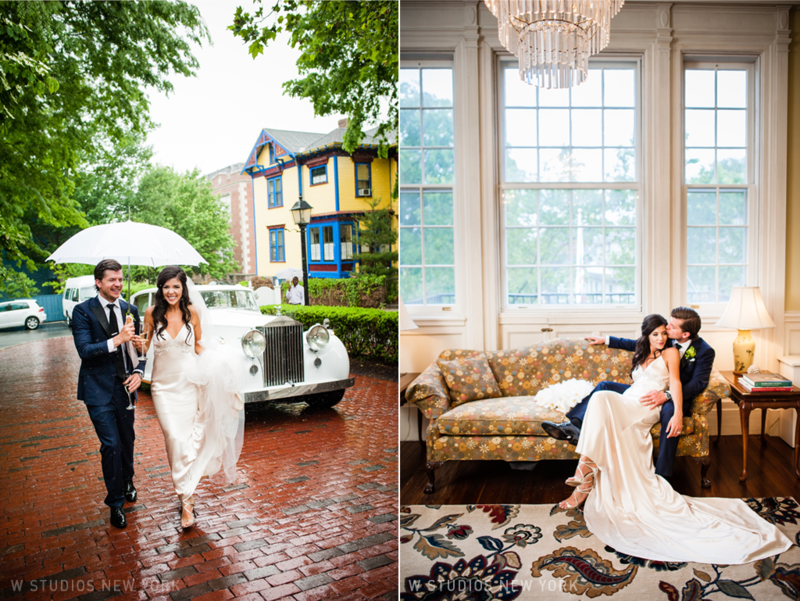 The afternoon rain couldn't put a damper on this celebration. 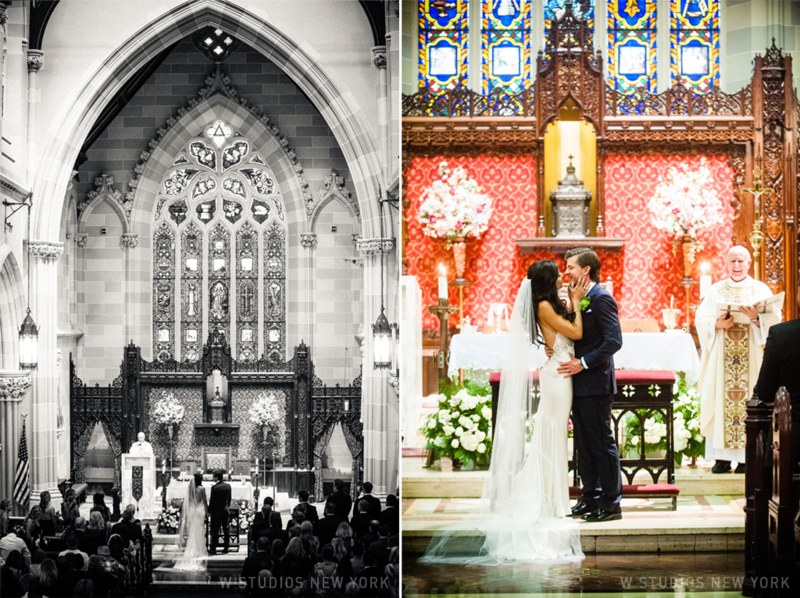 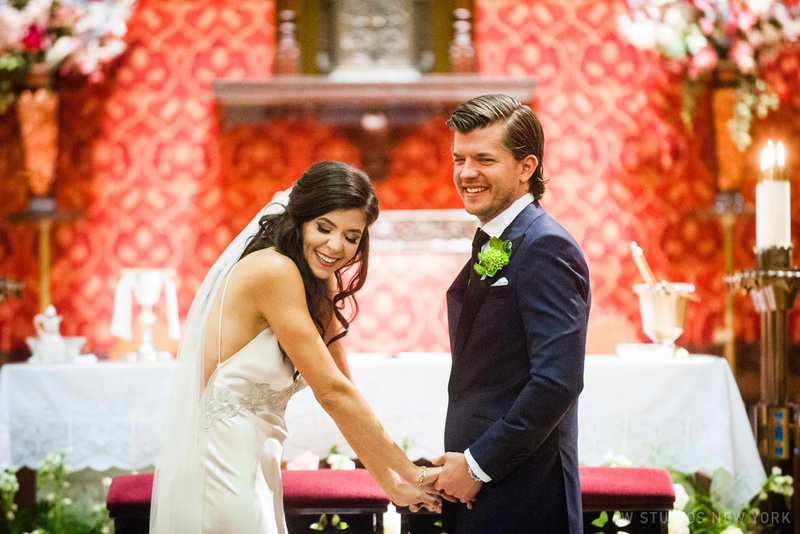 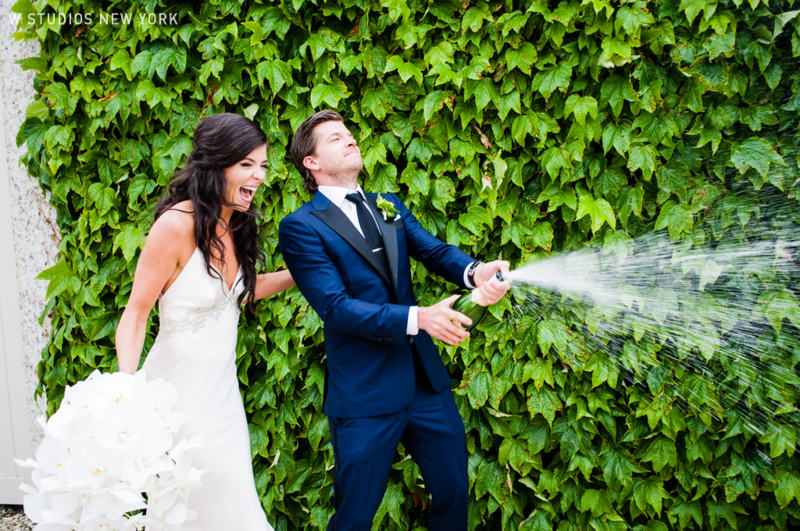 After a gorgeous ceremony at St. Mary's church the couple and their guests couldn't wait to get the party started! 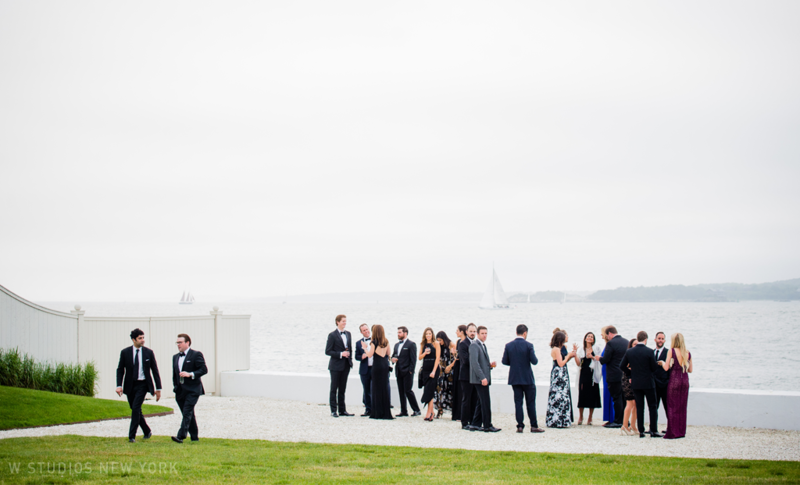 Belle Mer set the perfect scene with guests enjoying cocktails & hors d'oeuvres while watching the sailboats pass by. 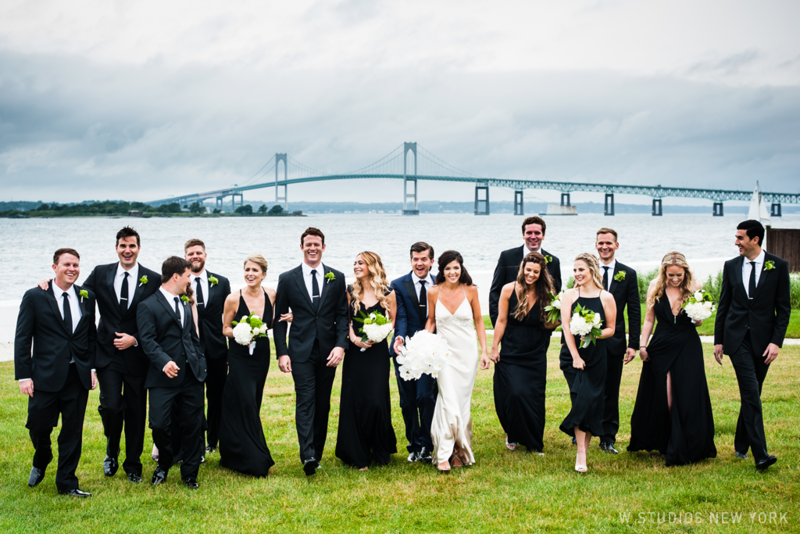 We captured the newlyweds and their bridal party enjoying the grounds. 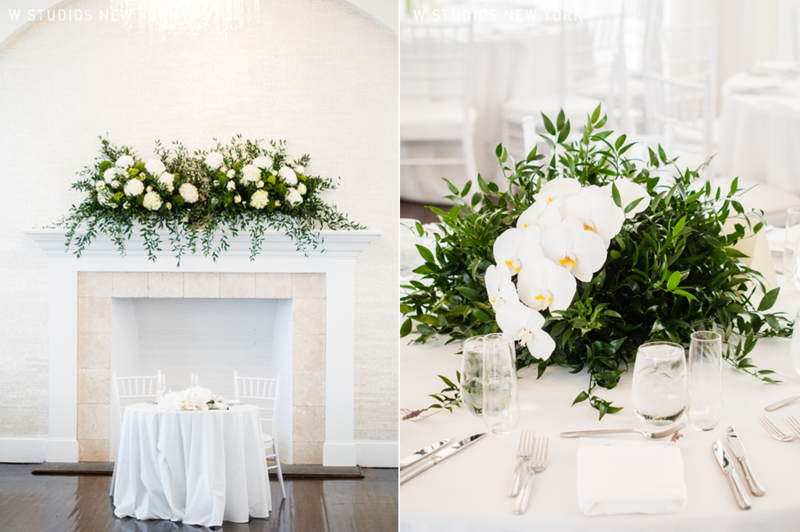 After we headed into the reception which continued the natural motif of ivy and white orchids that beautifully reflected the bright open space. 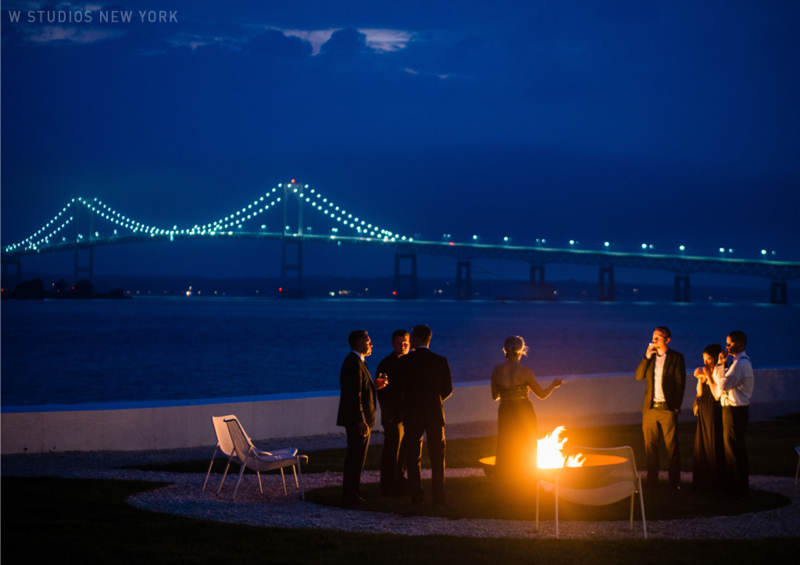 While the guests danced and the light slowly faded, the fire pit beckoned to enjoy the night's views.